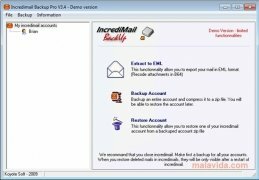 Incredimail Backup PRO is an application that will allow you to create backups of the contents of your IncrediMail client, so as to be able to restore your account at a later data if any kind of problem were to arise. 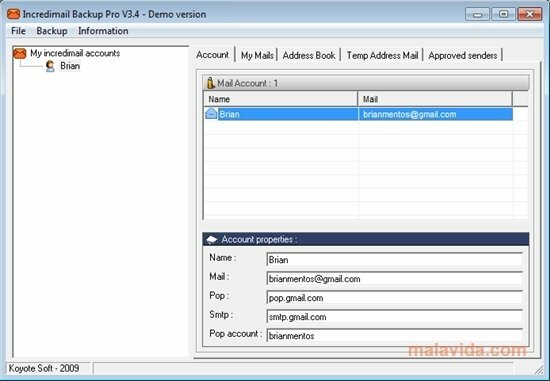 If you want to save a copy of your outbound, inbound and deleted mail, try out this program and feel reassured. 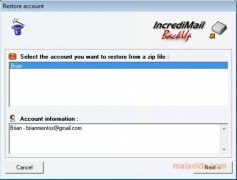 With this useful tool you'll be able to complete three basic functions: convert all the messages from your email account to the EML format; create a backup in ZIP format and restore your account to be able to recover the deleted or damaged messages. 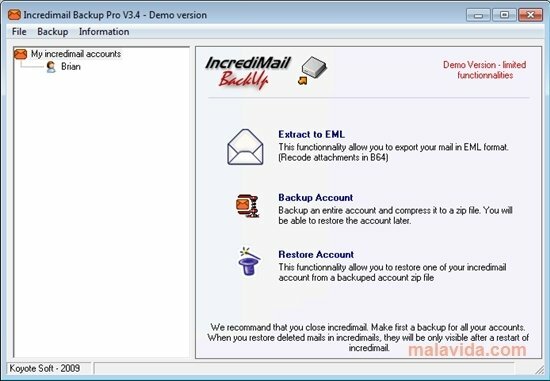 Incredimail Backup PRO allows you to convert your sent, received and eliminated messages to the EML format. 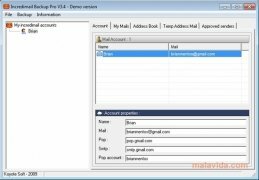 This format is used by email clients like Microsoft Outlook, Windows Mail or Mozilla Thunderbird, among others. On the other hand, you will be able to export your email to any of these clients. You'll also be able to create backups very easily and in ZIP format. 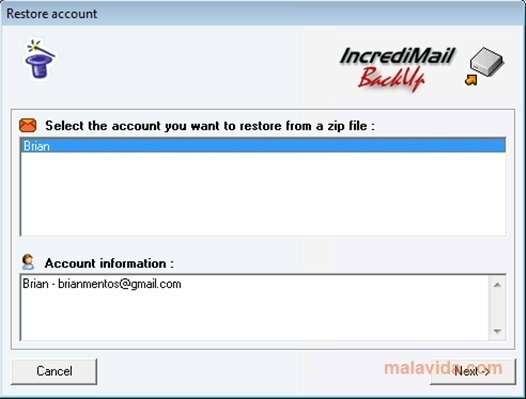 Thus, at any moment you'll be able to recover your email account from that file. 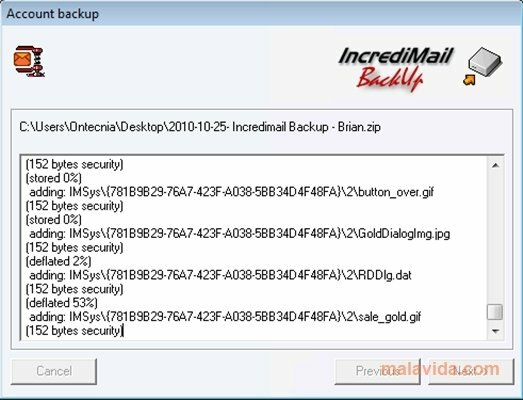 Try out Incredimail Backup PRO, and save a backup of your email somewhere safe. This download requires that you have IncrediMail installed. The trial version only allows you to create 5 backups.